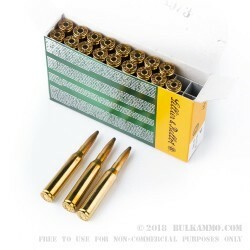 While many shooters know the round for the Wildcat variants that surround the cartridge, this is a mainstream load for the 6.5x57mm by a company that does mainstream cartridges well, for low production number cartridges based on military loads. 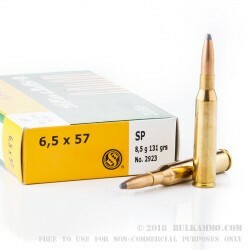 The 6.5x57 is immensely popular in Europe as a deer and intermediate game cartridge and while the numbers are quite low from a distribution perspective in the United States, the guns do exist, and this is a great round to use in them. Sellier & Bellot is a premium producer of modern ammunition built on the back of old classic loads. Their propensity to produce well known, but often poorly consumed rounds makes them the perfect company to try to build this round’s presence in the American shooting market. This is the non-rimmed variant of the 6.5x57mm cartridge with a 131 grain soft point projectile. It features a rimless cartridge casing that is made from virgin brass and is primed with a Boxer primer making it easily reloadable, which is important for the 6.5x57 as generally this cartridge only really starts to shine outside of its obvious use case scenario after it has been loaded hot by a hand loader. 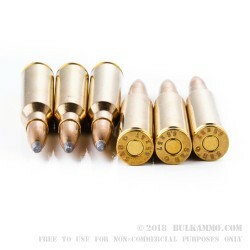 It’s a great value considering the usefulness of the brass quality in making the wildcats out of the spent brass, or for reloading it as a standard round with some additional heat.